SealGreen Garage Floor Concrete Sealer is ideal for smooth concrete like garage floors, warehouses, workshops, and print shops, plane hangars, docks, machine shops. Penetrates hard trowel floors. SealGreen Garage Floor Concrete Sealer Is an odorless, water-based solution developed to effectively treat a wide range of smooth or hard trowel concrete floors. 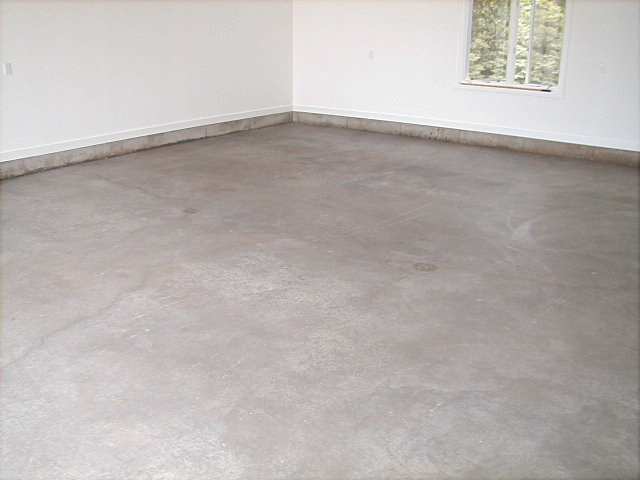 SealGreen – Garage Floor Concrete Sealer provides long-lasting protection. Limitations Do not dilute or alter after proper mix of concentrate. Application temperature range 35º to 85ºF (2º to 49ºC). Protect from freezing. May damage glass, aluminum, metal, ceramics & glazed tile. Always protect these surfaces. Not recommended for glazed surfaces. Outside applications – Pre-treat the surface with SealGreen Cleaner and then wash with a pressure washer (2000 to 2750 PSI - no higher - to prevent etching of the concrete surface) with a medium fan tip. Thoroughly rinse and remove all loose material from surface with pressure washer. Allow to dry. Surface: “The Cleaner - The Better” - Remove all loose material from the surface of the area to be sealed. Surface should be as clean as possible. Heavily soiled areas should be hosed off or power washed. We recommend the use of SealGreen Cleaner to remove oil, dirt, mold, and other contaminants. Do not use any petroleum-based cleaners when cleaning the surface. Protect the treated surface from rain and pedestrian traffic for 12 hours after application. SealGreen Concrete Sealer gains its full water repellent properties in 12 hours.